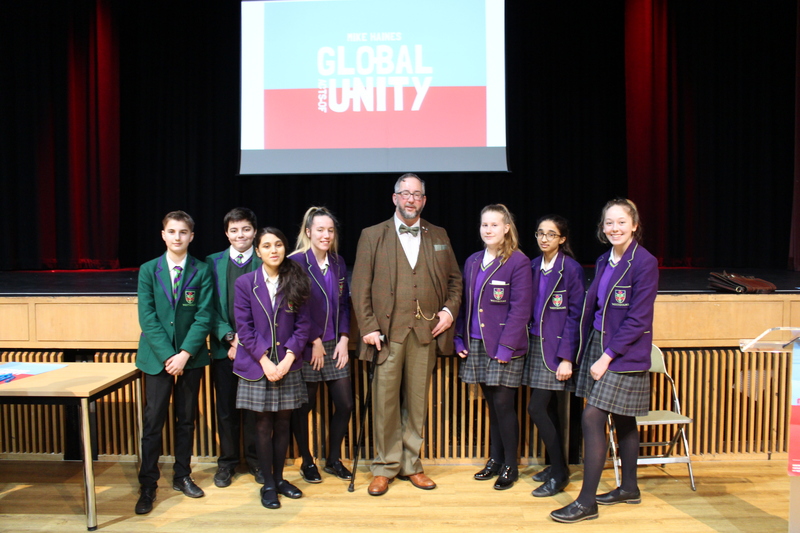 Yesterday we had the honour of welcoming Mike Haines from Global Acts of Unity to Westholme to give a moving and thought-provoking talk to Year 9 and 10 students, in the Croston Theatre. 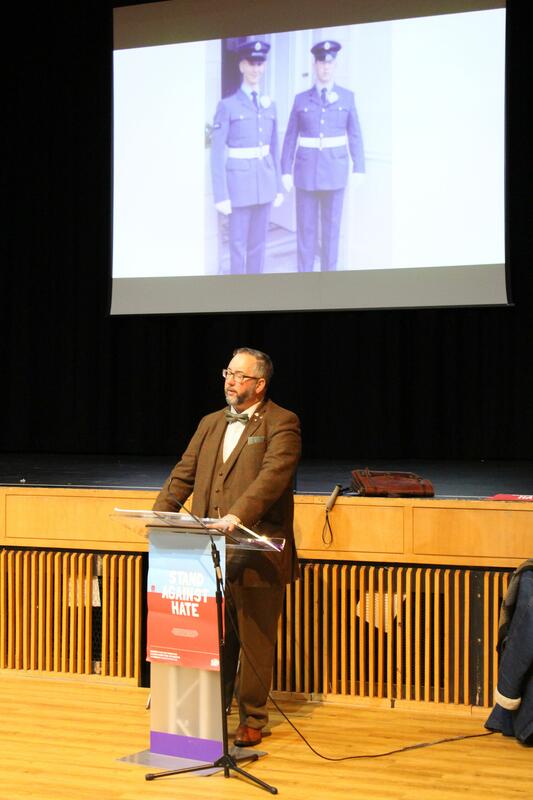 Mike Haines is the brother of David Haines, the British humanitarian worker murdered by Daesh in September 2014. Despite suffering tragedy as a direct result of terrorism, Mike himself chose to publicly reject hatred in favour of unity, tolerance, and understanding. 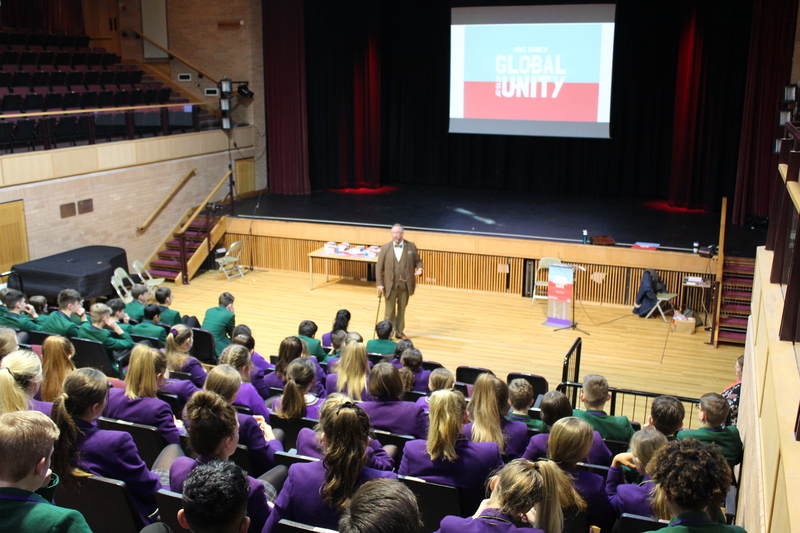 The Global Acts of Unity School Tour campaign was born out of his pursuit of a more positive course of action and refusal to be drawn into divisive discourse with Muslim communities. By inviting students to extend the hand of friendship by making one positive action, Mike’s campaign develops resilience to the polarising forces of suspicion and marginalisation, the very conditions extremists seek to exploit. Since 2016, Mike has told his story to over 20,000 school children. 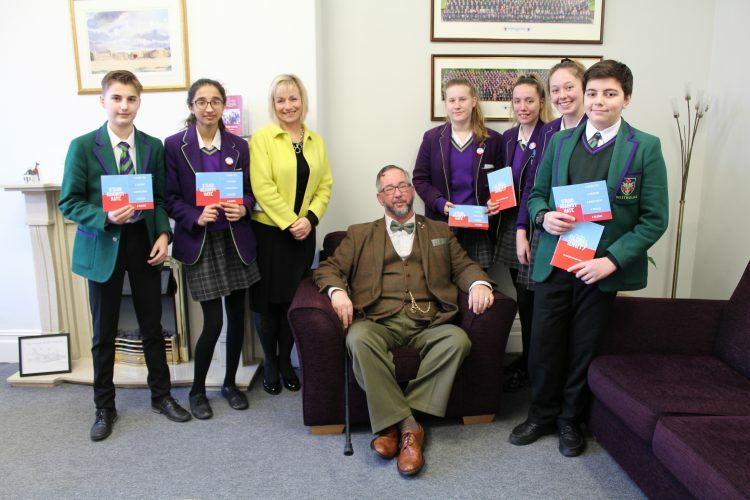 Mike was very interested to hear about the work our own students have done with the Blackburn with Darwen Schools Peace Charter and hopes to link with them in the future. The workshop is suitable for ages 13+ and it lasts an hour. It is made up of a presentation, a short film and a Q+A with the school children. Mike can deliver the session to a large assembly (once he has a microphone) or a single year group. You can find out more about his work on his website is www.globalactsofunity.com. You’ll also find an interactive classroom activity that is perfect for PSHE.